The focus of the 2010 User Summit was the transformation of how marketing and sales organizations work – and work together – to generate revenue. In today’s “buyer’s in control” market, traditional marketing and sales approaches have become grossly inefficient and outdated. By relying on antiquated strategies and ineffective methods, organizations find that 80% of leads and 50% of the sales team time is wasted. This misalignment adds up quickly and creates significant revenue leaking points across the organization. However, as we heard from many participants, successful companies are changing their ways and improving how they accelerate revenue performance. As I explained in my opening remarks, at the core of this revolution is Revenue Performance Management (RPM), a strategic discipline and management process where sales and marketing are synchronized to create predictable and sustainable revenue. In essence, RPM breaks down the silos and optimizes sales and marketing effectiveness at all prospect and customer touchpoints (i.e. revenue touchpoints) across the revenue cycle. In action, and as we heard from many at the event, it involves marketing analytics to identify inefficiencies and continuously improve performance. A key change taking place is that marketing is moving away from a soft discipline into one that’s highly measurable and accountable for revenue, creating a transformational change in the way companies do business. The process starts when a prospect first encounters your company and extends throughout the customer’s lifetime with the company. Fundamentally, Revenue Performance Management is a strategy that aligns marketing and sales functions to use the same metrics to predict and drive revenue. It was enlightening to see many of our distinguished speakers talk about these same principles. For example, Salesforce.com’s Todd Forsythe impressed me with his presentation on how Salesforce.com is using Chatter to align marketing and sales to build millions of dollars of new pipeline. Forrester’s Andre Pino also detailed the importance of marketing and sales alignment—a paramount theme throughout the User Summit. Pino argued that revenue focused marketing organizations would facilitate marketing and sales alignment and transform marketing from cost centers to revenue generators. There were many others great presentations including PR Newswire’s Ninan Chacko, who explained how the proliferation of digital channels has blurred the lines of marketing and public relations, pushing both organizations towards an inbound content marketing model. The Pedowitz Group’s Debbie Qaqish was also engaging as she defined the strategic role of the Chief Revenue Officer. And QlickTech’s Doug Laird, Author Avinash Kaushik, and Raab Associates’ David Raab were informative with their insight, best practices and real-life examples that – for me – validate the transformation of marketing automation into revenue performance. 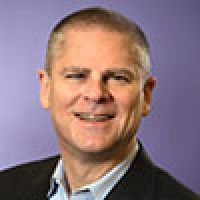 Marketo’s vision is to help companies of all sizes adopt Revenue Performance Management and accelerate predictable revenue growth by providing them the tools, thought leadership, and best practices. I’d love to hear your perspective and feedback, please feel free to contact me at phil@marketo.com.